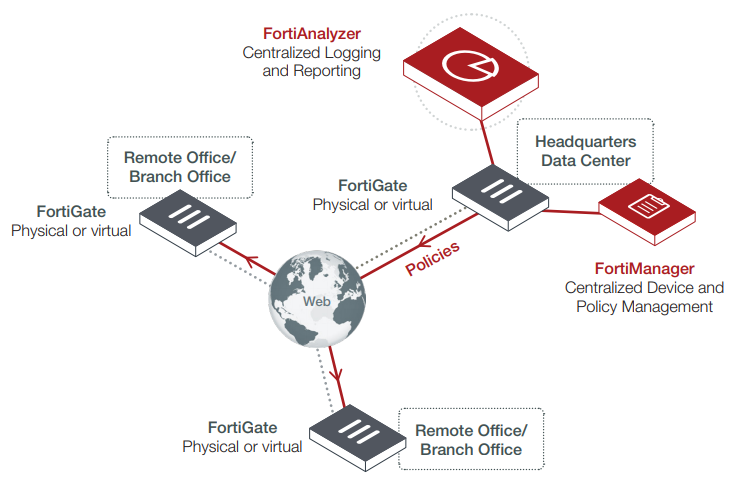 Seamless Integration with the Fortinet Security Fabric - Correlates with logs from FortiClient, FortiSandbox, FortiWeb and FortiMail for deeper visibility. 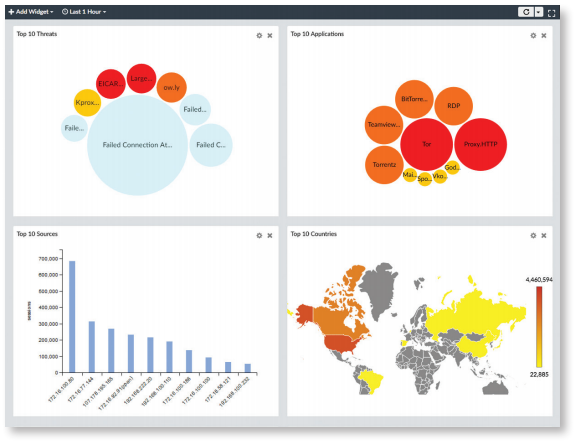 Provides a customizable interactive dashboard that helps you rapidly pinpoint problems, with intuitive summary views (Fig. 1) of network traffic, threats, applications and more. 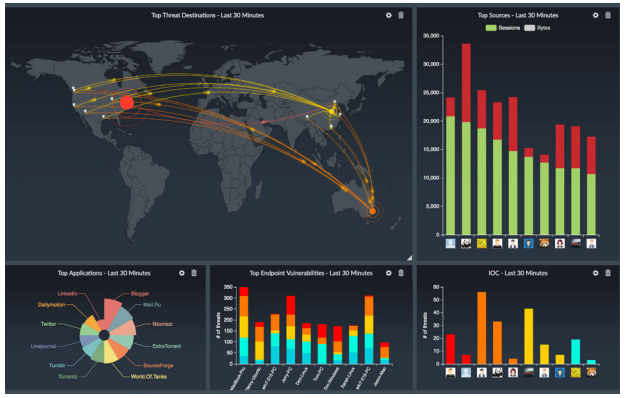 FortiView is a comprehensive monitoring system for your network that integrates real-time and historical data into a single view. 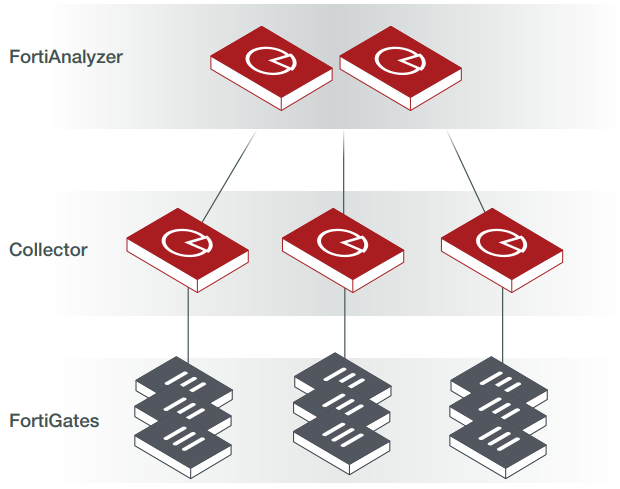 It can log and monitor threats to networks, filter data on multiple levels, keep track of administrative activity, and more.